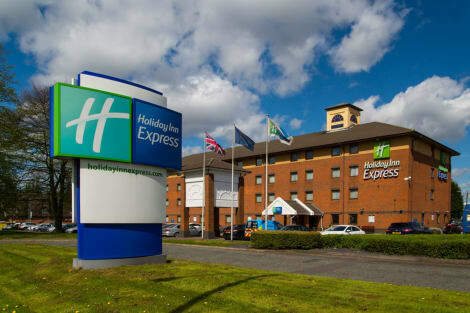 A welcoming hotel with free parking, offering easy access to Birmingham city centre and the M5Holiday Inn Express® Birmingham - Oldbury hotel is less than a mile from the M5 motorway.We're close to the town of Oldbury and a short drive from the shops, theatres and museums of central Birmingham. Trains from nearby Sandwell & Dudley station can whisk you into Birmingham New Street in 10 minutes. Birmingham Airport (BHX) and Birmingham International station are both within a 30-minute drive. We’re a convenient launch point for summer journeys to Devon and Cornwall or exploring the West Midlands. Families will love the underground canal tunnels at the fascinating Black Country Living Museum, and the Cadbury World chocolate factory, both a short journey from the hotel. 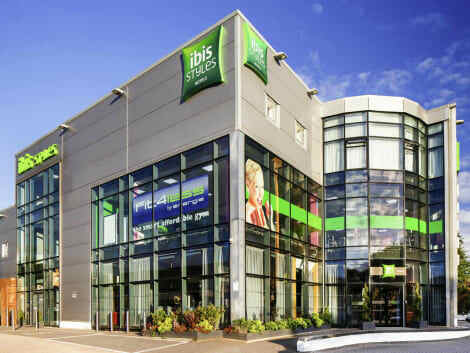 If you’re visiting on business, we’re within easy reach of the NEC exhibition centre, and have a meeting room for 25 onsite.At this hotel you can enjoy:- Free WiFi- Express Start™ Breakfast included in the room rate- Hot food available every eveningHead to our comfortable lounge to relax with a drink from the bar. Our thoughtfully designed Next Generation bedrooms all have flat-screen TVs and power showers, as well as blackout blinds to help ensure a restful night's sleep. Handy sofa beds let kids stay free when sharing a parent's room. With a stay at Ramada Birmingham Oldbury in Oldbury, you'll be within a 15-minute drive of Black Country Museum and Hagley Road. This hotel is 5.5 mi (8.8 km) from Broad Street and 5.8 mi (9.3 km) from University of Birmingham. One of the six towns that make up the borough of Sandwell, Oldbury is a town just west of Birmingham in an area known as The Black Country. Being so close to the second most populated UK city, Oldbury is the perfect base from which to explore not only Birmingham but also the surrounding area. We have a series of Oldbury hotels in which you can stay to make your trip extra special. Aside from a day in the big city, there is much to do in the Oldbury area. The Black Country Living Museum in nearby Dudley tells the story of the area and its history in a fascinating open-aired interactive museum of rebuilt historic buildings. First opened in 1978, the museum has preserved important buildings from around the area in a specially built village, where the staff portray life in the period between 1850 and 1950. Not far from the museum, visitors can find Dudley Castle, unique in that the castle grounds is home to a 40-acre zoo. Home to more than 1,300 animals and almost 200 species, the zoo also has the world's largest single collection of Tecton buildings. The 12-strong group was granted World Monuments Fund status in 2009, ranked alongside such iconic landmarks as Machu Picchu and the Taj Mahal. Shopaholics should take a trip to the Merry Hill Shopping Centre while in the area, a great retail therapy solution. Just 30 minutes' drive from Oldbury, visitors will find the West Midlands Safari Park in Bewdley, a must-see for families with children. With over 165 species of exotic animals, a huge four-mile drive through safari, large adventure theme park and a walk-through discovery trail, there is much to see and do. The park also boasts the largest collections of white lions, cheetah, common hippopotamus and meerkats in the whole of the UK, as well as the largest lemur walk-through exhibit. There are plenty of dining options available in Oldbury, regardless of preference. Dine out in an exotic Indian restaurant such as Little Bangla, or enjoy some Asian cuisine in the Saffron Restaurant. Enjoy traditional fish and chips from Chamberlains or go upmarket and enjoy a romantic Italian meal for two in the fabulous Bellino.